Sounds interesting...will go on my massive TBR pile. 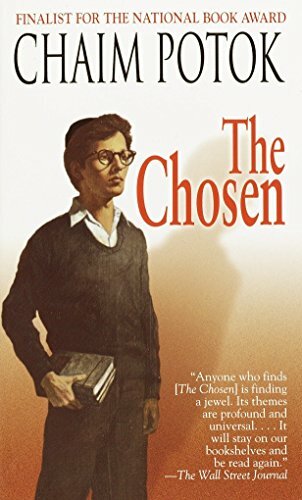 This was a moving and insightful book about the relationships between fathers and sons, as well as a compelling glimpse into Jewish history and religious divisions, a subject I knew little about. At the heart of the story are two young men and an unlikely friendship that proves to be stronger than the differences between their backgrounds. That being said, I'm not sure I fully understood even at the end why Danny Saunders was raised in such an apparently cruel manner, or why he would ever consider raising his own children in such a way. I'll try to find a good home for this one. This book is on its way to christine-bpc! Received in the mail today - thank you so much for sending it to me! I hope to give it a good home while it's here with me, and I'll be reading it soon!